Here’s a little piece of merchandising I put together for the last web and mini comix thing. Amazingly, there were some left, but alas, they have all gone since the Leeds Alternative Comics Fair. 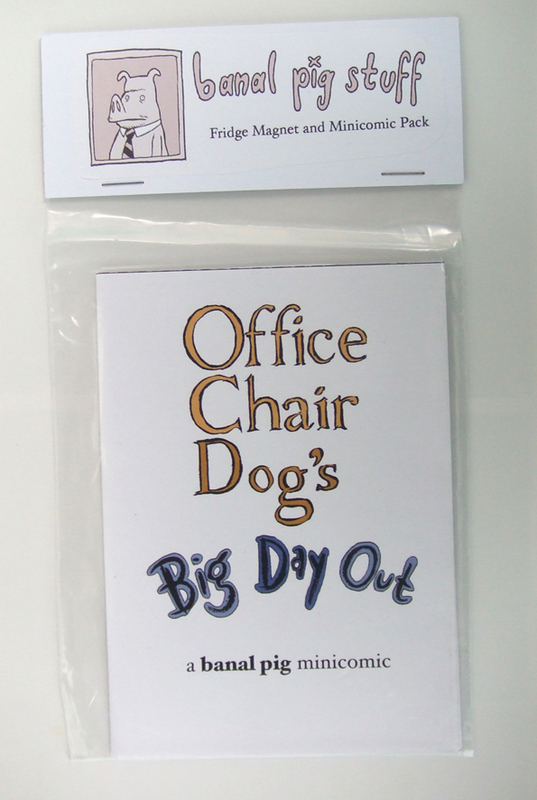 There’s an exclusive office chair dog minicomic (8 pages in full colour), pictured below, along with a fridge magnet, about A6 size, in a nice little plastic bag with a card top, lovely. 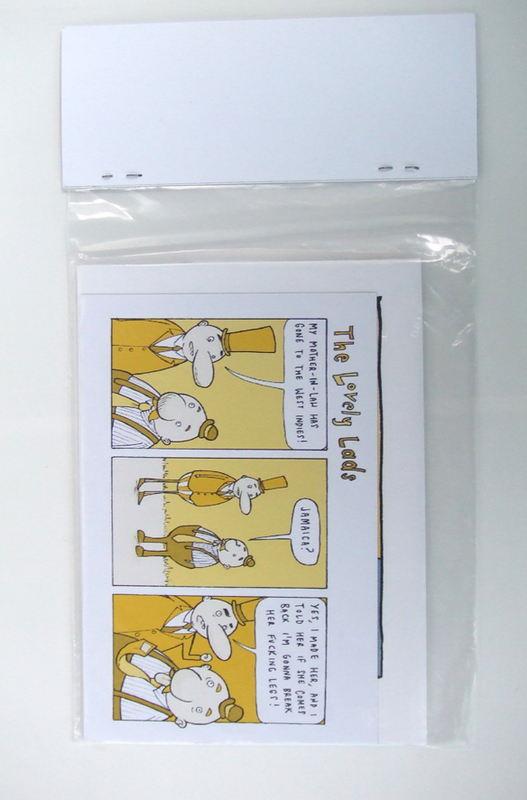 It’s one of those flat, floppy style magnets, and each magnet is different, the one illustrated is our old pals the lovely lads in their “jamaica” skit, and they are mostly three-panel funnies. I’ve tried to give a decent indication which is which below without ruining the jokes. So, below is a list of the magnets available, please write on the paypal order which one(s) you’d like. Pingback: the banal pig » you wanted an update?